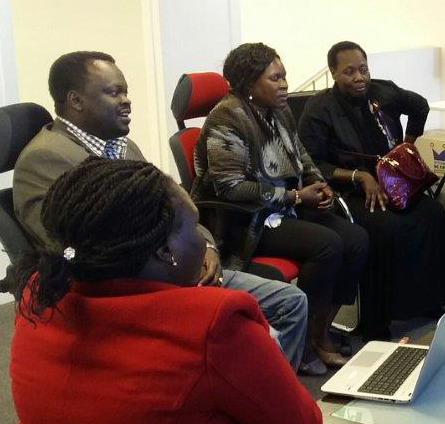 Last month Mabor Chadhoul from CEH met with the Sudanese Mothers Coalition of Victoria, to speak about prevention and treatment of Sexually Transmitted Infections (STIs) and Blood borne Viruses (BBVs). The group were part of 30 women from the coalition who will be engaged with CEH through community education over the next few months. While BBVs/STIs prevention, transmission and treatment are the core topic that we discuss, some other topics covered include sexual health; puberty & adolescence; healthy relationships; harm minimisation of alcohol and other drugs. These topics are usually driven by the groups around their interests. The importance of this community–centred approach is to raise awareness, build community, and family capacity to gain knowledge on these topics and STIs and BBVs treatment and prevention. Participants in community education will share the knowledge gained with their families, friends and the broader community. Mabor is looking forward to his continued work with the coalition.